April is a really good month to visit France. The weather is great in the south, where it is not too hot but already warming up well, and still mild in the north—although not so chilly that you can't enjoy time outdoors. This is also the month when all the major attractions and sights begin to open. You can enjoy the towns and villages without the great summer crush of people in the most popular seaside resorts. The gardens are either beginning to bloom (in the north) or are already showing off their gorgeous plantings; the trees have that sharp green foliage that heralds Spring in the great forests that you find all over the country, and the great rivers of France are sparkling in the bright Spring sunlight. Considered a shoulder season, rates for hotels and travel are more reasonable than later in the year, but it's still wise to plan your trip well in advance and book accordingly. The weather across France can be a bit erratic in April—the notion of April showers is very real here! You can expect a mix of sunny and rainy days, with an average of 10 rainy days spread throughout the month. Precipitation amounts can vary depending on where you visit: Paris receives just under an inch of rain in April, while the country's Atlantic Coast receives an average of 2 inches. Packing for a France holiday in April can vary according to which part of France you are visiting. There are many major events in April, and the month is a great time to see and taste the best that France has to offer. 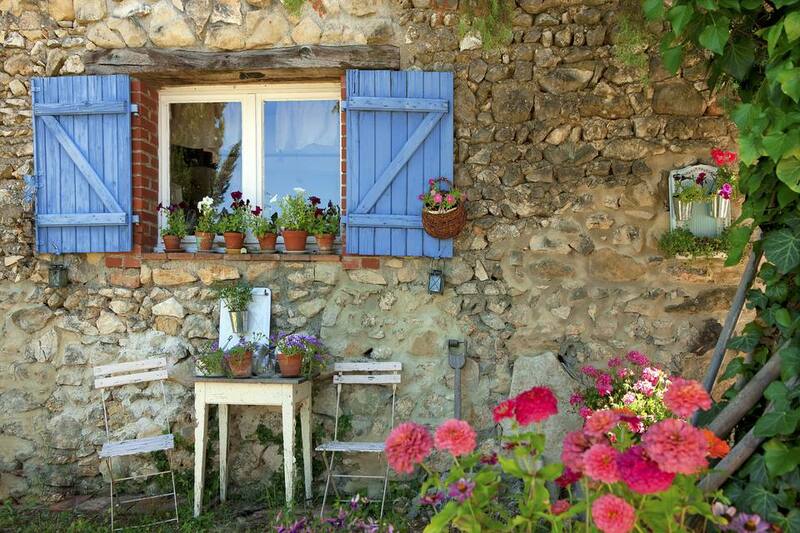 Easter: This traditional holiday is a major weekend in France, when a whole mass of events are organized, so check out the local tourist office where you are staying for details. Many tourist attractions and restaurants close for the holiday. L'Isle-sur-la-Sorgue: April is also the season of large markets, and this is the biggest flea market and antique show in Europe; it takes over this small town for four days. Roman Games: Dates vary from year-to-year, but the great Roman arena in Nîmes holds the annual event each year in late April or early May. Kite and Wind Festival: On the west coast just south of La Rochelle, the skies above the beaches of Châtelaillon-Plage fill up with the weirdest and most wonderful kites you can imagine during the two-day event held each year in late April. Foire du Trône: This traditional fair has Ferris wheels, rollercoasters, and plenty of other attractions for children and their parents. The carnival, held in Paris, runs through the beginning of June. International Garden Festival: This festival in the scenic Loire Valley showcases more than 30 different themed gardens from around the world. It takes place at Château de Chaumont. Fête de la Coquille Saint-Jacques: Scallops are a delicacy in Brittany and each year this event celebrates the tasty mollusk. April is the edge of shoulder season, so you'll see rates begin to climb on airfares and accommodation. Additionally, crowds are starting to pick up, and lines get longer. Prices for hotels and bed and breakfast accommodation will rise the closer you get to your travel dates, but you can always get bargains by booking as far in advance as possible. Paris, in particular, has higher airborne pollen and pollution levels than many other places throughout the spring. If you're sensitive, be sure to pack anti-histamines or other medication. If you want to see spring flowers at their best, head to the Luxembourg Gardens or Versailles. Both destinations are full of explosions of color during April!